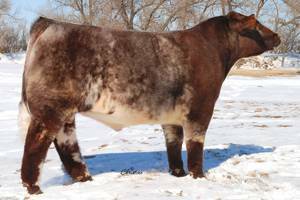 Perfect Storm was the $40,000 high seller at the Alta Cedar 2009 Showcase Bull Sale. He has tremendous muscle shape, an extended front end, massive rib, and is wide bodied. 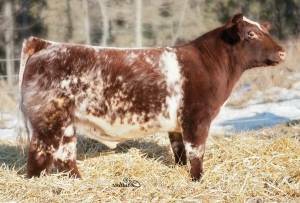 Perfect Storm is asterisk free and has a beautiful roan color. He sired the Champion Get of Sire at the 2012 Agribition Show.